Today’s electronic music scene revolves continuously on hype, and there are few labels and artists that can rely almost entirely on their musical content to do the talking. Mala‘s Deep Medi label and V.I.V.E.K are noted exceptions to this rule. Influenced by the golden years of drum and bass and a steady diet of dub and roots music, V.I.V.E.K has been honing his musical construction skills since 2004. 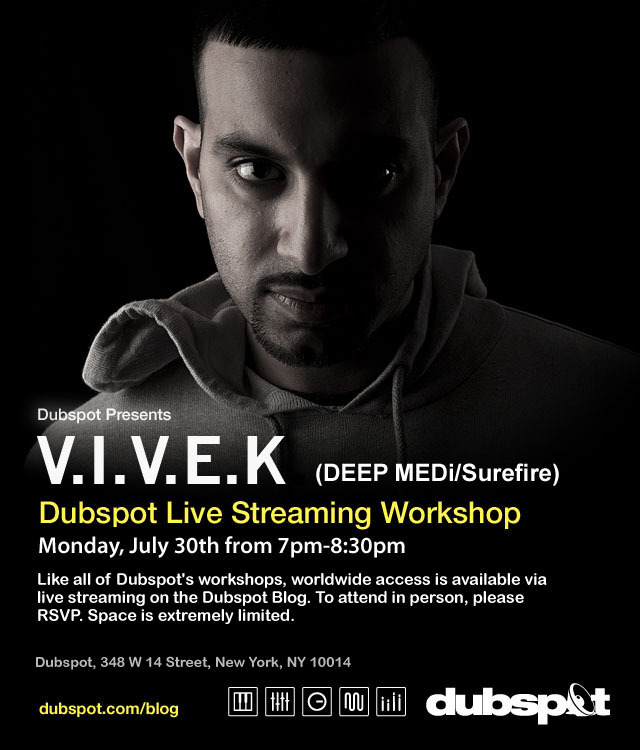 Progressing naturally from DJing to production, and originally producing fast-paced beats around 170bpm, 140bpm was the speed that worked for V.I.V.E.K to shape his unique subterranean groove. With one 12″ release under his belt for On The Edge, fellow soundscaper Silkie passed a CD of his productions to DMZ / Deep Medi visionary Mala. The launching pad into musical infamy was then set with his first 12″ for the innovative camp (“Kulture” / “Meditation Rock”) in 2009. The momentum this release initiated was to spark a flurry of concentrated creative power, and many sought after dubplates from V.I.V.E.K. 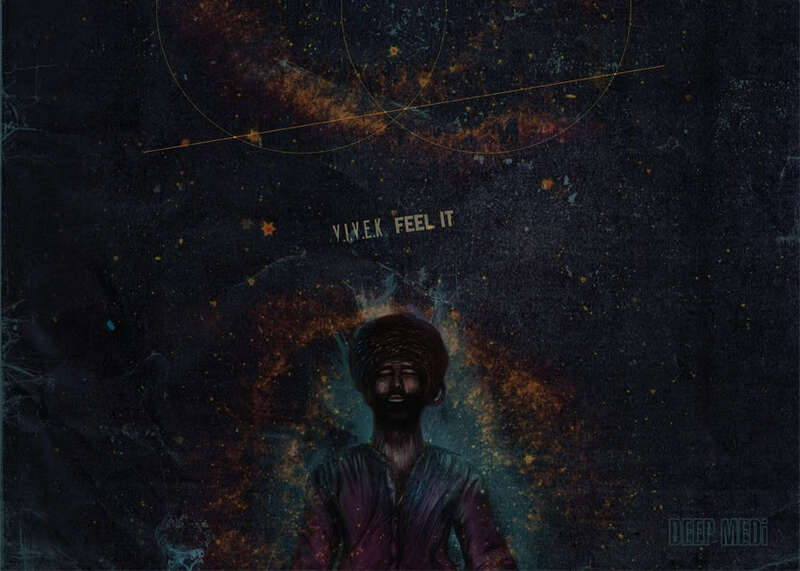 The Feel It EP was the culmination of this period of focus. This 4-track EP and its attached Mix Session CD captured his vision succinctly and solidified V.I.V.E.K’s reputation as one of the most talented artists working in the 140 framework today. Fervent support for V.I.V.E.K music has always come from the DJs that fully understand the power that 140 BPM holds when the construction is pure. Mala, Youngsta, N Type, Mary Anne Hobbs, Skream, Distance, Giles Peterson, Mistajam, Nihal (BBC Radio 1), & Anti Social have all been compasses that chart the sonic progress of the V.I.V.E.K sound. 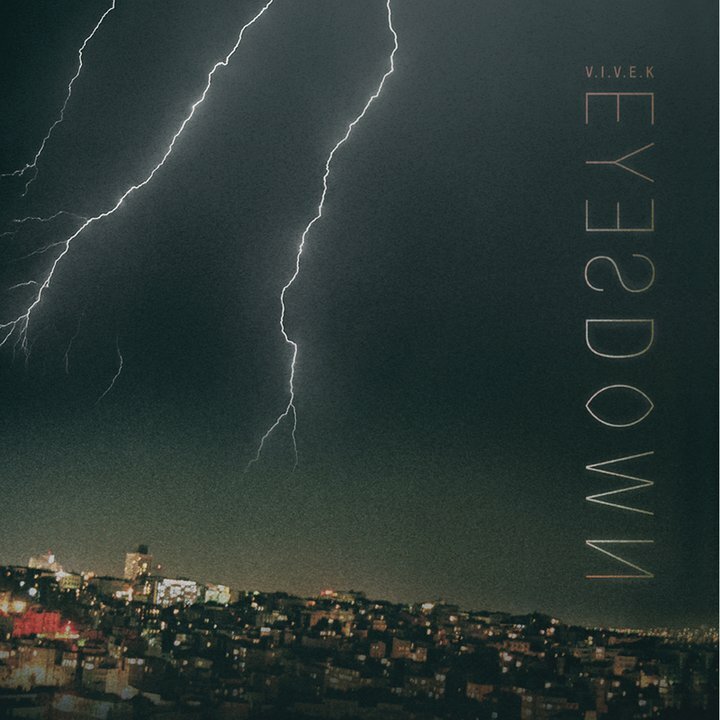 As a Deep Medi artist, V.I.V.E.K himself has become a regular DJ on the DMZ / Deep Medi nights, recently playing sets that have become highlights for many at the DMZ 6th birthday celebrations in London and Amsterdam. Chest rattling, consciousness moving exclusives are the norm here, and catching one of these performances is a potent reminder of why we all fell in love so deeply with the dubstep sound. 2011 sees the internet on fire again with clips and YouTube videos of the latest batch of V.I.V.E.K dubplates, Deep Medi is set to drop the Eyes Down EP in May 2011, and it’s comforting to know that this is only the beginning of what promises to be the year V.I.V.E.K comes out from the shadows to the forefront of bass music with more stellar releases and genuinely important DJ sets.